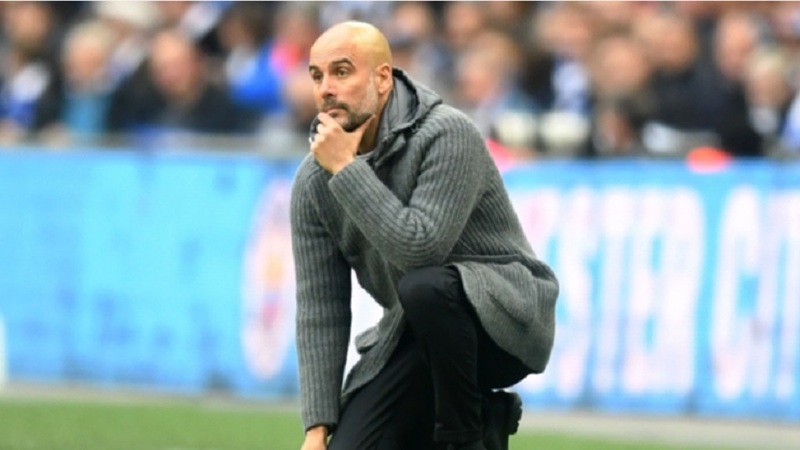 Pep Guardiola sought to temper quadruple talk after his Manchester City side edged into the FA Cup final with a battling 1-0 win over Brighton and Hove Albion at Wembley. Gabriel Jesus' superbly crafted fourth-minute opener suggested a canter for the reigning Premier League champions but City struggled for their fluent best thereafter. 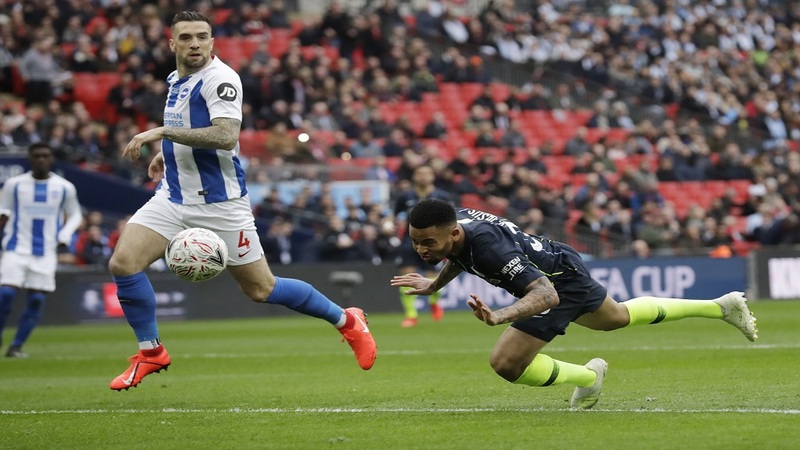 Nevertheless, they secured a return to England's national stadium – where Raheem Sterling dispatched the decisive penalty to see off Chelsea in an EFL Cup final shoot-out in February – and will remain in London ahead of Tuesday's Champions League quarter-final first leg at Tottenham. Liverpool's relentless form means the battle for the Premier League looks set to go to the wire, even as City's fate remains in their own hands with six matches remaining. Addressing a news conference immediately after his team's second-half slog, Guardiola suggested he had seen fresh evidence that an unprecedented clean sweep of major honours will prove a bridge too far. "I will announce you something - it is almost impossible to win the quadruple, almost," he said. "Put it in the headlines, guys. "Surviving until this stage of the competitions is already a miracle, that is why it is incredible what these players have done." From Kyle Walker's fortune in escaping a red card for appearing to aim a headbutt at Alireza Jahanbakhsh, to a prolonged exchange of views with Raheem Sterling on the field at full-time, Guardiola was given plenty of cause for consternation by his players. 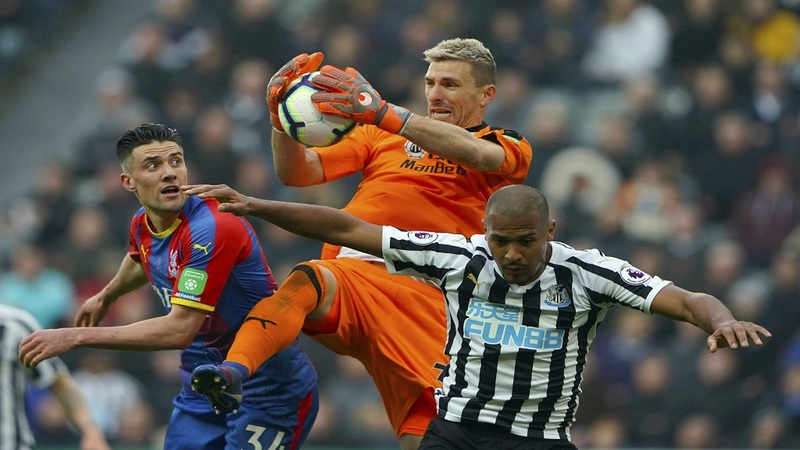 Nevertheless, he once again praised their endeavours in not allowing standards to slip after winning the Premier League with a record 100-point haul last season. "The year after, when you have the tendency to be arrogant or a little more presumptuous, still we are there," he said. "That's why it's incredible what these players have done before. Every game we lose players but that is normal when you play a lot of games. We are going to try until the endevery game." Guardiola counts Walker among that number, stating the England right-back was withdrawn at half-time due to back pain and not to spare him following a booking collected during the Jahanbakhsh incident. Top scorer Sergio Aguero did not make the matchday squad at Wembley, having also sat out the midweek win over Cardiff City, but is to resume training on Sunday and will be assessed ahead of the Tottenham match. A more positive fitness story for City came on the opposite flank to Walker as Benjamin Mendy completed 79 minutes on his first start following knee surgery in November. "It was a long, long time he didn't play one single game," Guardiola added, having lost left-back Oleksandr Zinchenko to a hamstring strain against Cardiff. "He is back training just one or two weeks. We have a lot of problems in the defensive part, especially the full-backs. "So, he started a bit like this, like that [up and down]. But after he played confidently and in the second half he played better."